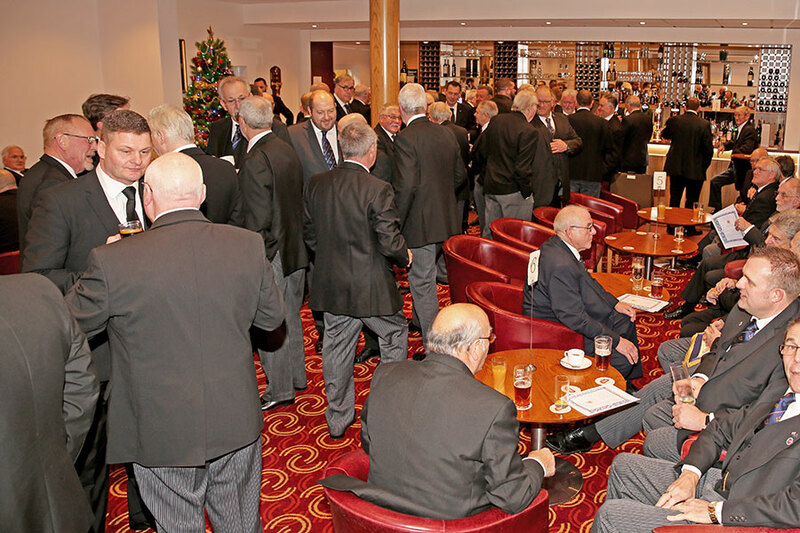 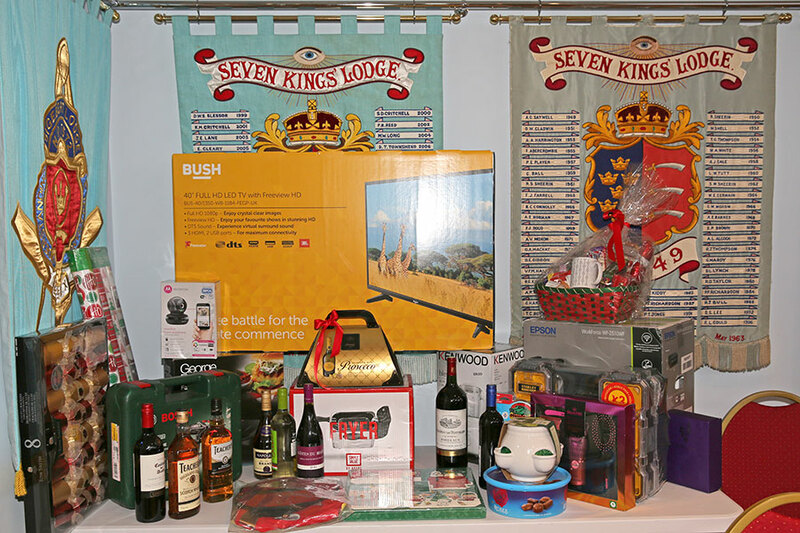 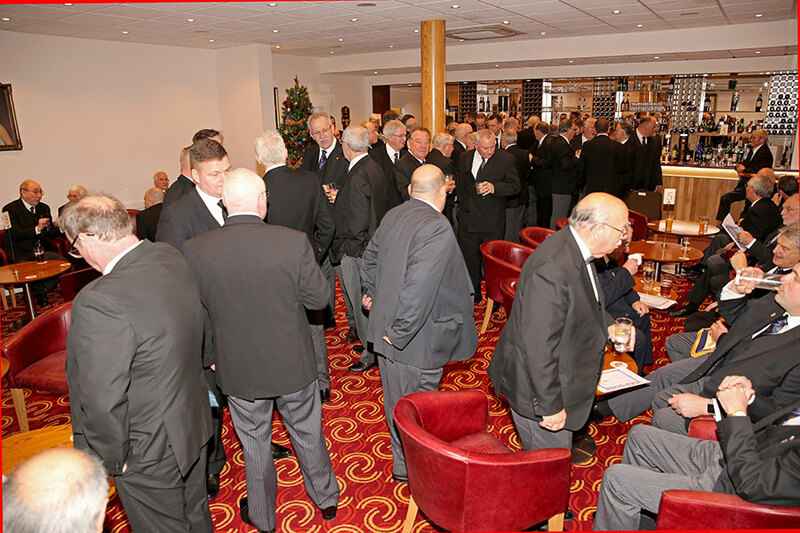 On the 15th December 2017, Seven Kings Lodge No 2749 once again hosted the Boar's Head, which has this year been the best ever with over 140 attendees, £3000 worth of toys and a record of £3060 raised in cash. 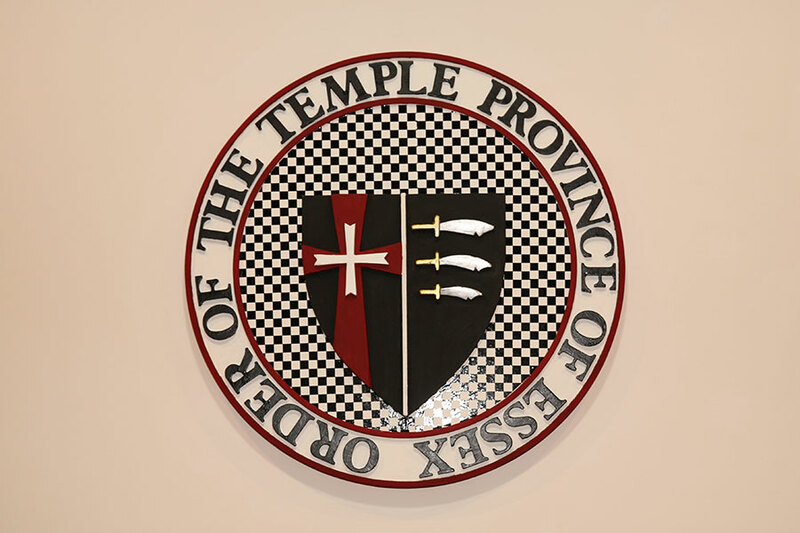 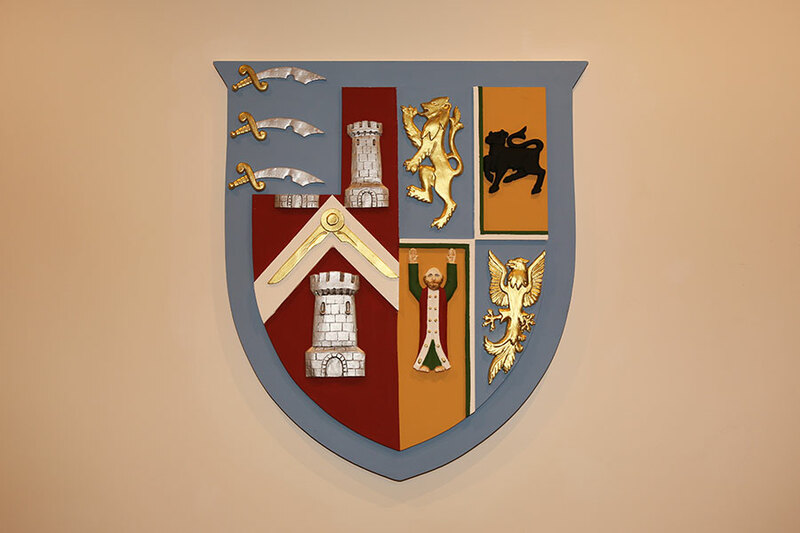 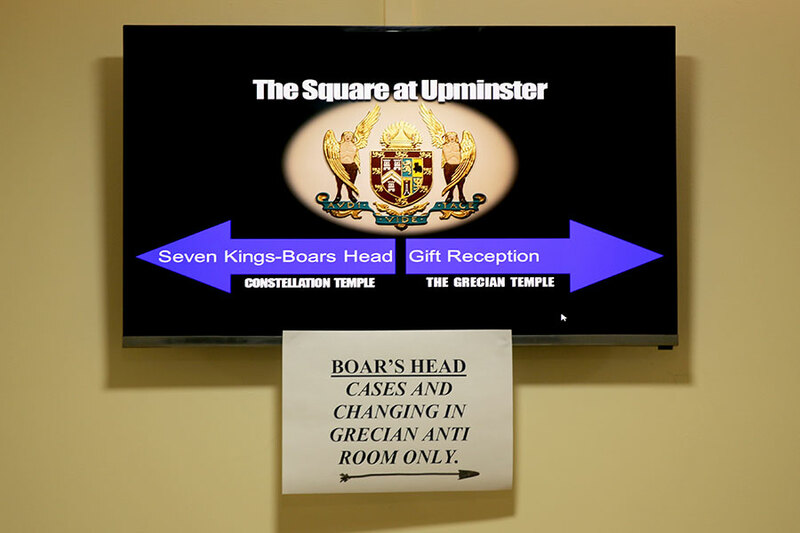 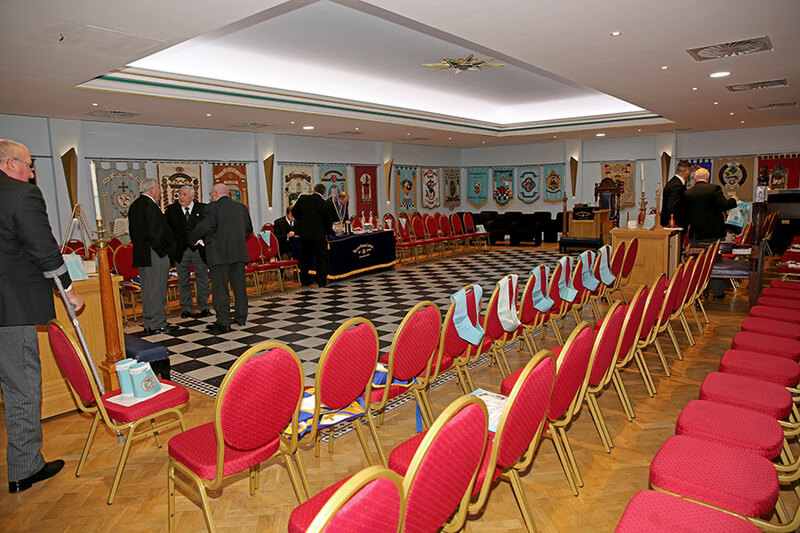 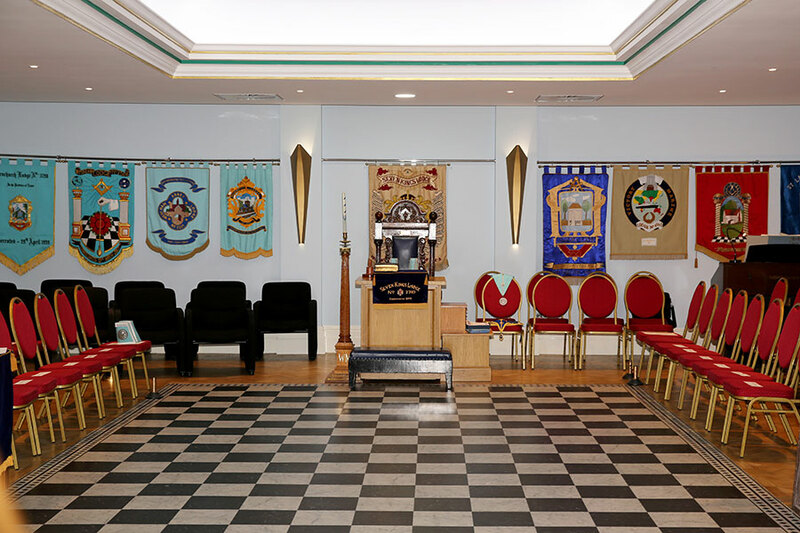 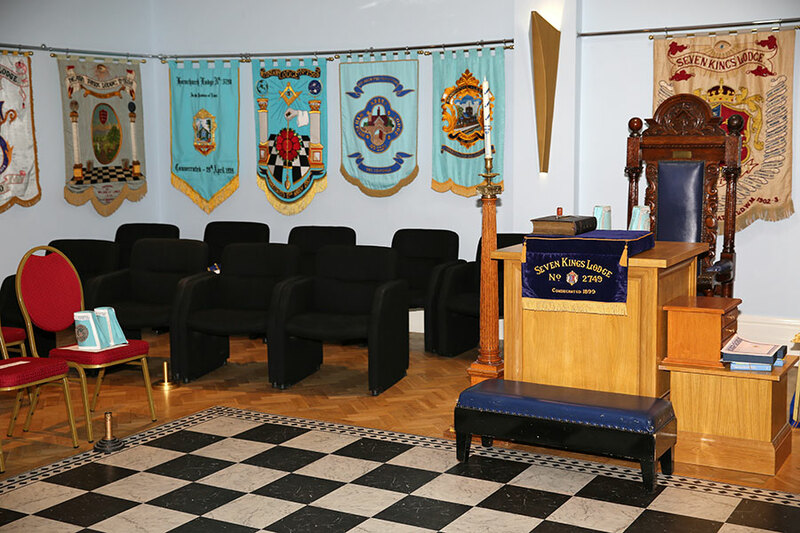 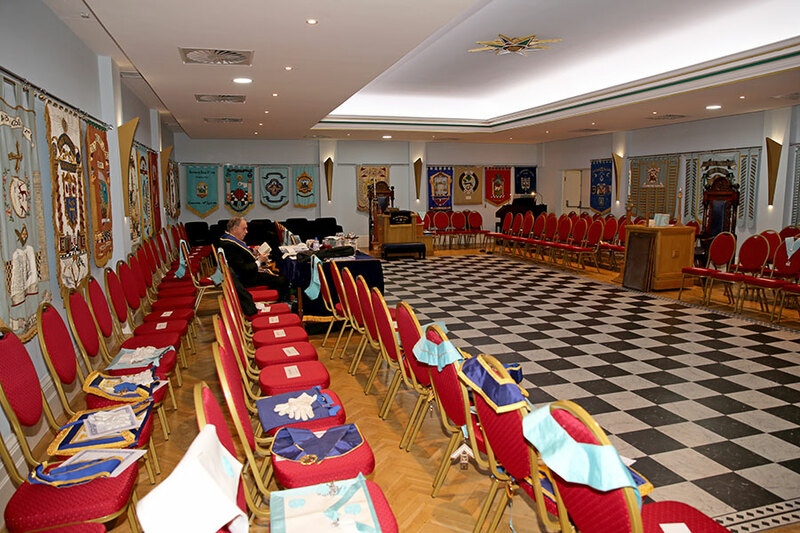 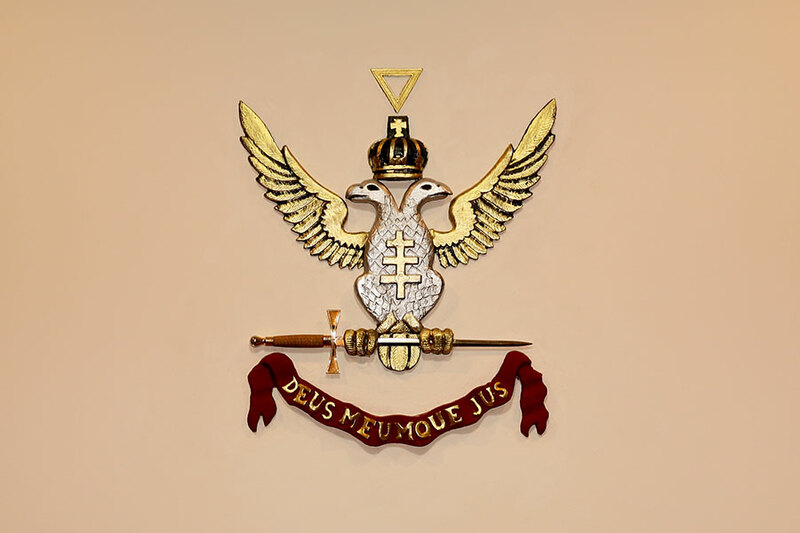 And in addition to that we had the Right Worshipful Provincial Grand Master, Rodney Lister Bass, who congratulated the Chairman of the Square at Upminster, W Bro Peter Banks, on the further improvements that had been made at the centre. 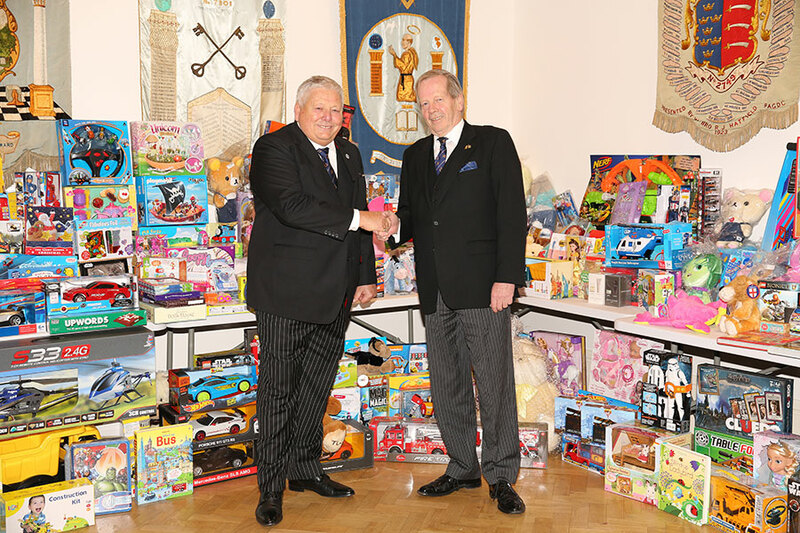 He was also very supportive of the Boar's Head event and impressed with the vast collection of toys for the children. 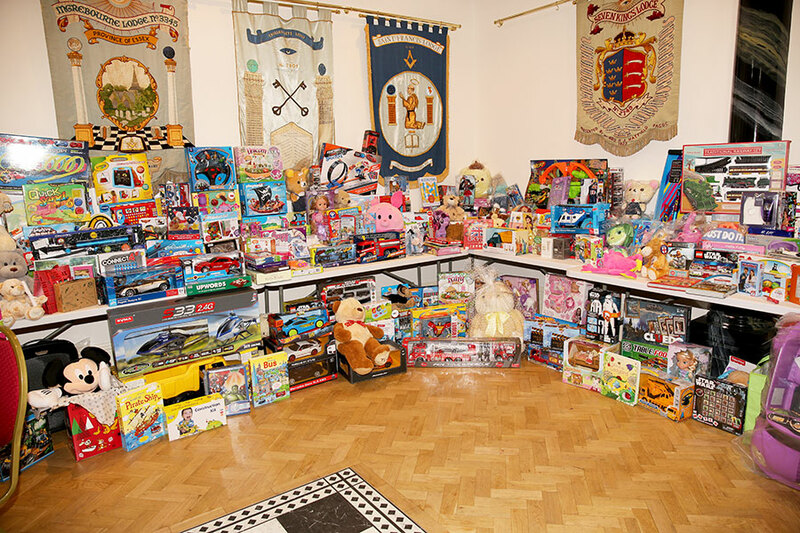 Every person wishing to come to the meeting was required to bring a toy, all of which have been distributed to Harlow, East Ham, Basildon and Broomfield Hospitals and were extremely well received by the staff and we are sure, the children. 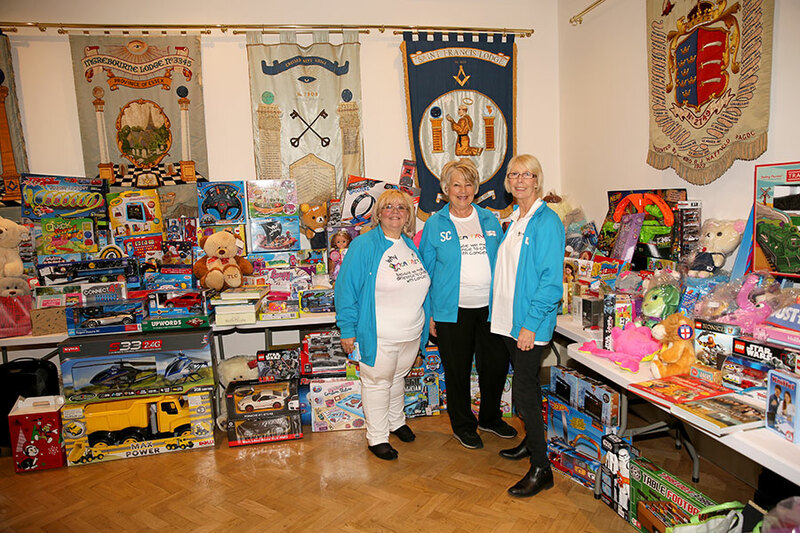 In addition, this year we supported the MCA trust in a Christmas Party for all the sick children and their siblings. 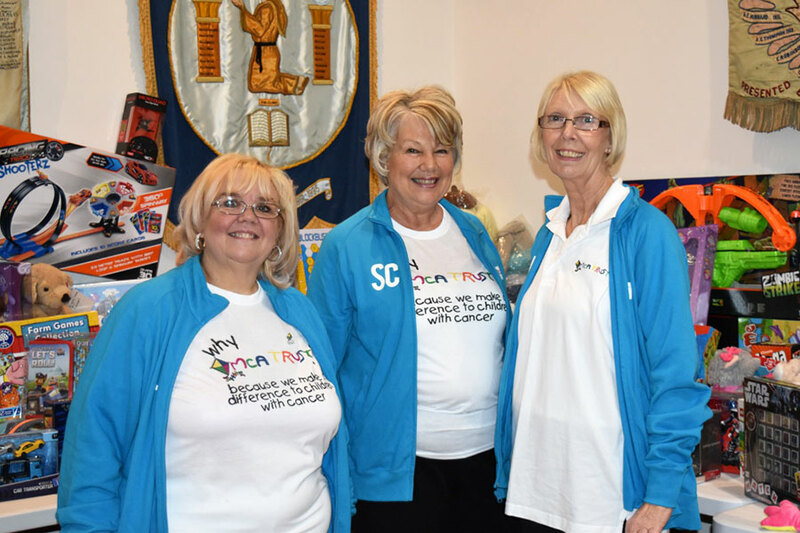 Father Christmas (aka Albert the Dwarf) was attended in the grotto by five elves (three of whom were the granddaughters of our Chairman) and thirty eight of the kids were from Great Ormond Street Hospital. 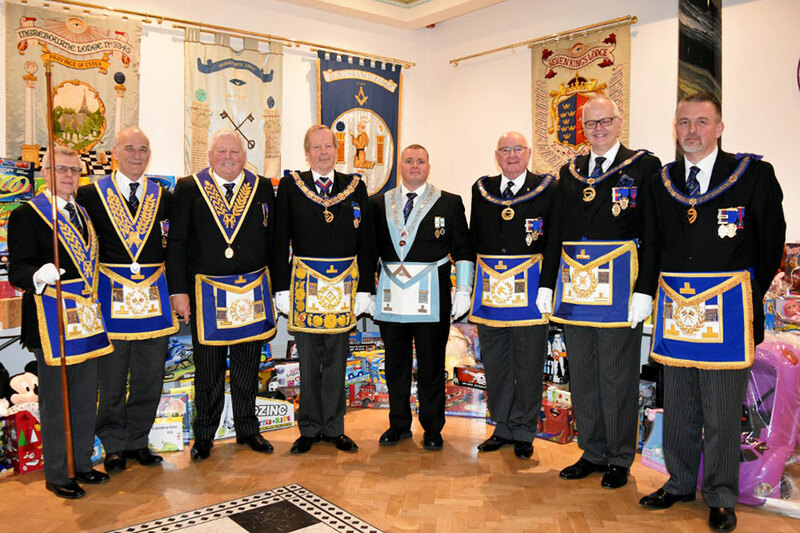 A whole host of characters from TV and film arrived to the amazement of the kids and there were many other attractions.